The sounds and sights of summer. 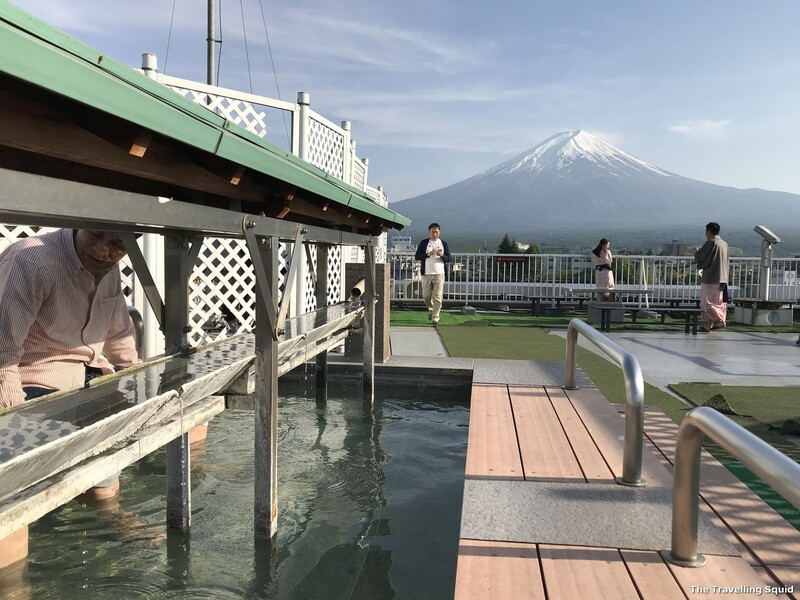 There’s a rooftop foot onsen located on the 8th floor. In my view, it’s 10% as good as a full body onsen. 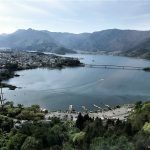 Largely because if one was to do visit an onsen, going full-out is a must. 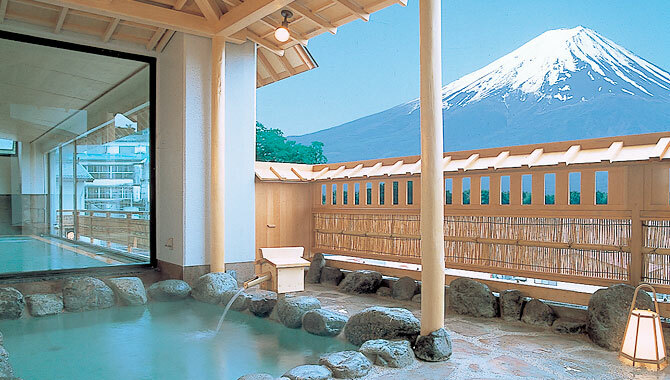 The good thing about this foot onsen is that it overlooks Mount Fuji. On a cold day, I can imagine that it would be nice to soak one’s feet in warm spring water, without the hassle of having to remove all your clothes and take a shower. I’m an onsen noob. The last time I did an onsen was during a grad trip to Taiwan many years ago. 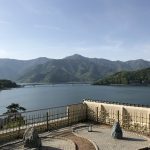 My group of friends visited a hot spring resort and arranged for an onsen with a natural setting. The onsen felt and smelt very minerally. Being a student with a limited budget back then, I tried to maximise our money’s worth. So I took a really long dip in the pool. I was super sleepy after that and fell asleep on the way back from the resort. Naturally I wasn’t aware of the decorum required for Japanese onsens, so I had to use my peripheral vision to observe what people were doing. 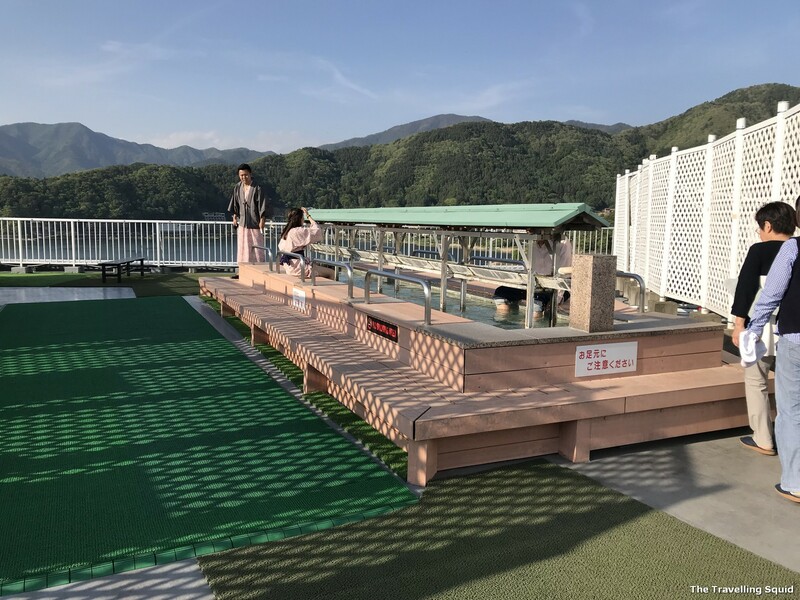 I’ve seen Japan travel shows where people get into the onsen with a towel, but the onsen at Hotel Konanso in Kawaguchiko is not one of these places. You’re to get in without a towel. All that’s allowed is a washcloth which the hotel provided earlier. I felt slightly awkward going in without a towel, but after a while I get the hang of it. 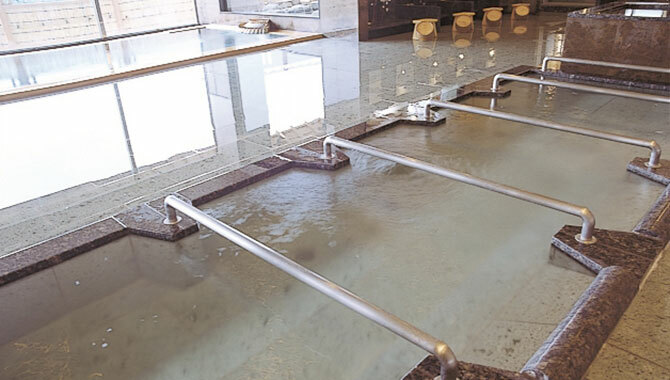 Essentially, you’re supposed to take a shower before getting into the onsen. I had taken a shower in the ryokan earlier right before coming down, so I do a cursory soap. 1. Keep all belongings in the baskets provided. Try not to bring any valuables down. I stashed my phone in one of the baskets – the place seemed quite safe actually. 2. Take only the washcloth with you into the hot spring area. Nothing else. Yupp. Not even a towel to cover up. It seemed like the most normal thing in the world. 3. Shower and scrub hard. If you have not showered before coming, take the chance to use the shower facilities provided. They come with Shiseido shampoo and conditioner too. So that’s great. 4. Enter the baths slowly. There are smaller pools by the side which are of a lower temperature. You might wish to soak in these before entering the main pool. The main pool is about 40 deg or so, so it’s recommended that you enter slowly, perhaps to acclimatise. You can start with the smaller pool first, where the water is not as hot. To be honest, I felt like a human sous vide in the pool. I’ll recommend that you emerge from the pool from time to time, as prolonged usage might be too intense for one’s body. I tried the outdoor onsen too. It was colder at night, so the temperature difference was bigger. It was actually nice as no one else was using it, so I had the onsen to myself. It would have been nice to go with some female friends I guess. 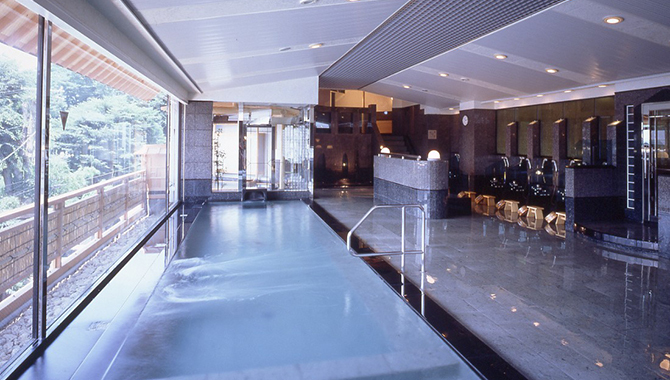 Onsens are meant to help with blood circulation, and for me, helps with falling asleep. At 8am, there was no one except us. The shower facility is right next to the onsen. 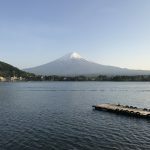 We booked the onsen from 8.00am – 8.50am. 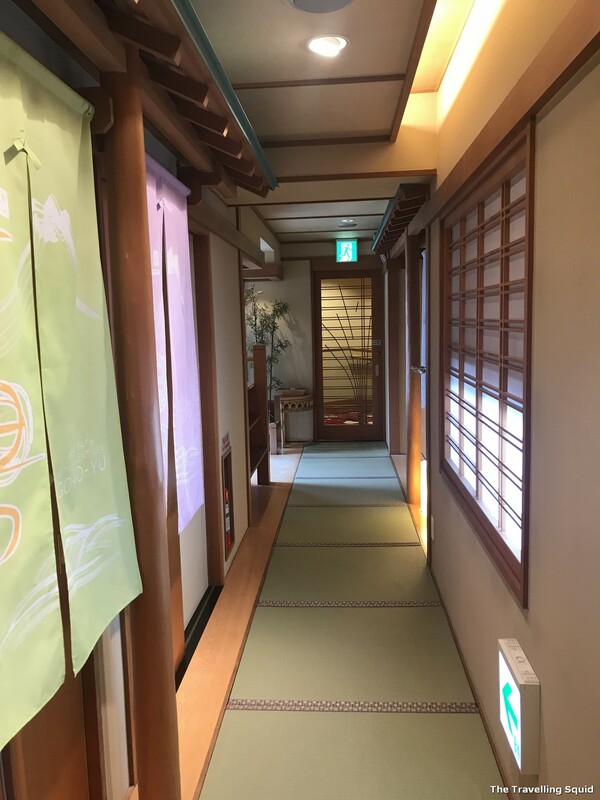 At 7.50am, a staff member came to our ryokan to pass us keys to the room of the private onsen. The private onsen is located on the 4th floor, right where our ryokan was. At 8am, there was no one around. 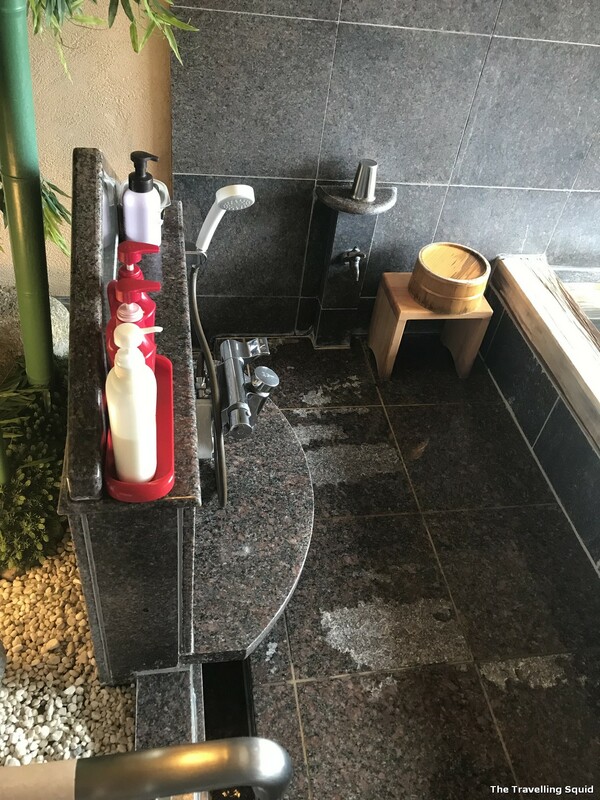 The shower facility in the private onsen is right next to the pool, so I suspect some of our shower water may have mixed with the onsen water. Oops. 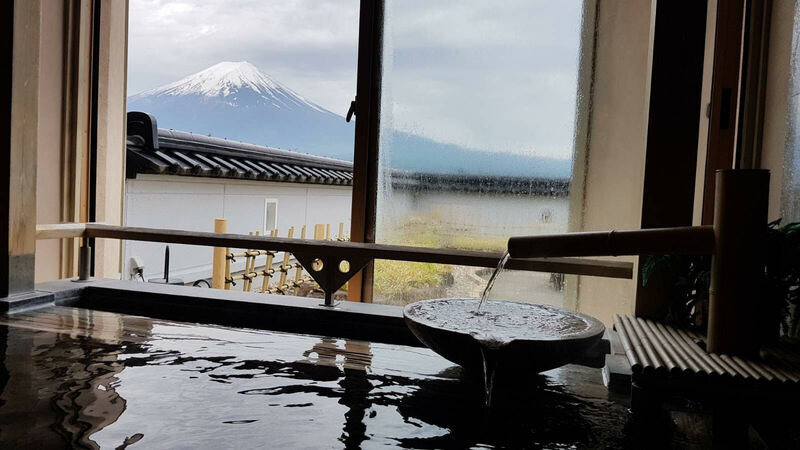 Private Onsen with a view of Fuji. The door leads to a garden outside. 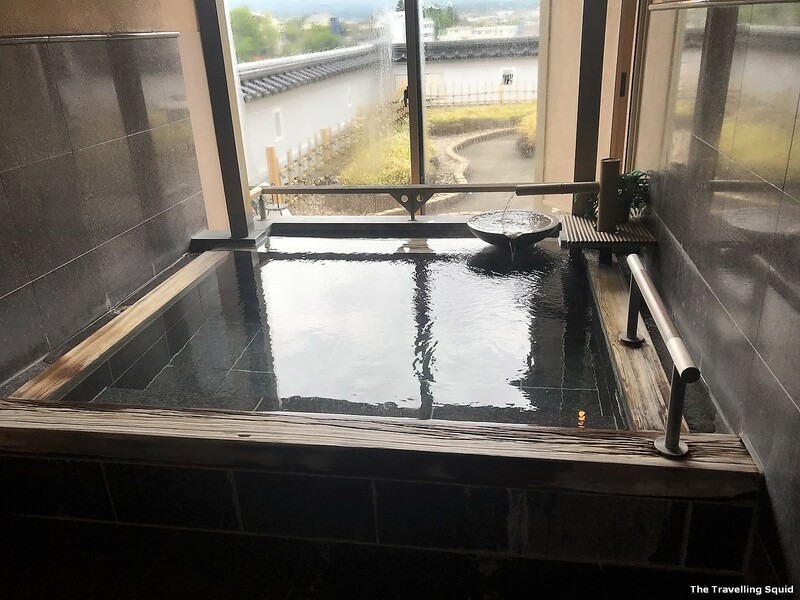 This was the size of the private onsen, similar to size of the public outdoor onsen. The water was quite warm, so we got up after about 30 – 40 minutes of soaking. After all, to leave by 8.50am, we would have to get out by 8.40am in order to shower. Hair-drying also takes some time. Washing area at the private onsen. In terms of the facilities, I was glad that there was ample room for both of us. 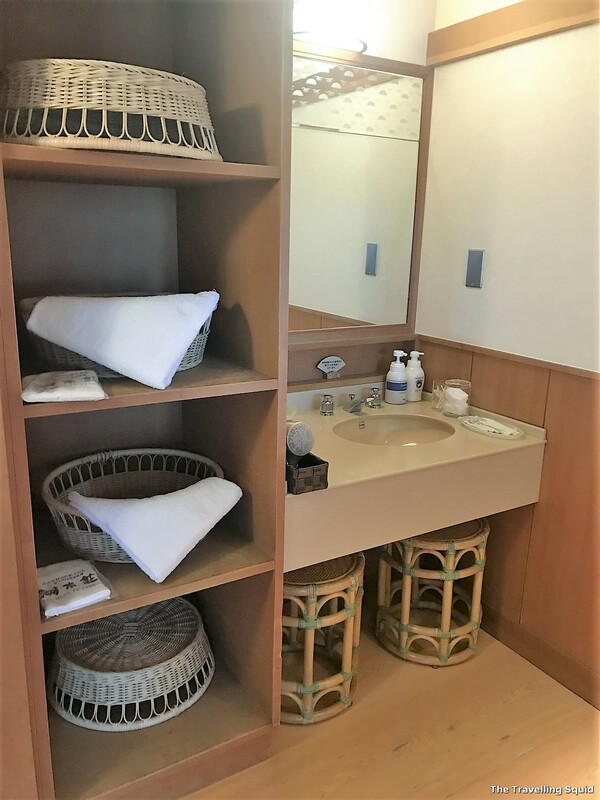 I’m guessing the maximum number of people the onsen could accommodate was 4 for per room, given the number of baskets. 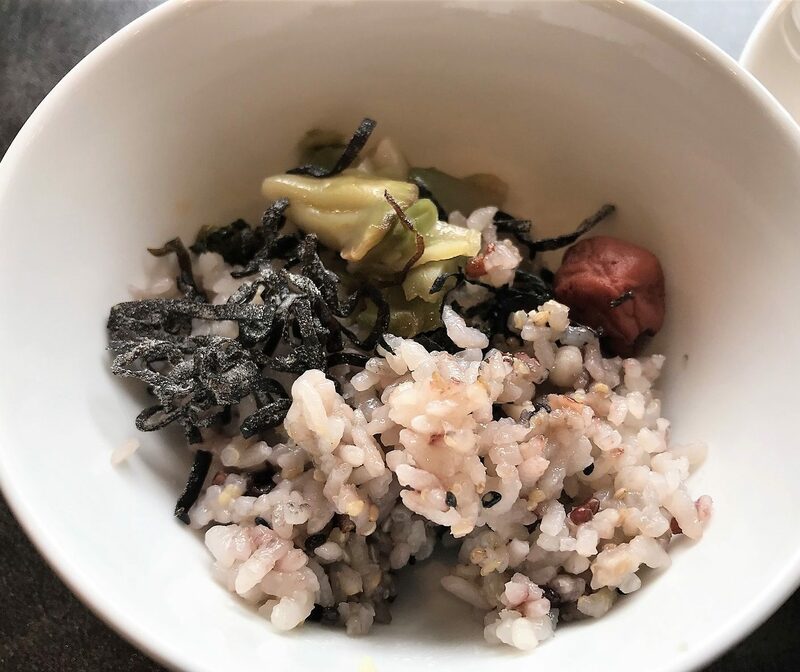 The public onsen at Hotel Konanso in Kawaguchiko was not too crowded, hence I would suggest that it would suffice if you would to go with a group of friends. After all, it would be nice to catch a soak with friends rather than being alone :(. The private onsen would be useful if you were going as a couple. 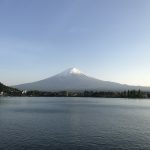 As for the foot onsen, it’s a nice option if you can’t use the public onsen and would like an unobstructed view of Mount Fuji. That makes visiting during the day a must. Enjoy! 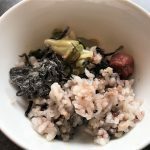 One Response to "Review: Onsen at Hotel Konanso in Kawaguchiko"